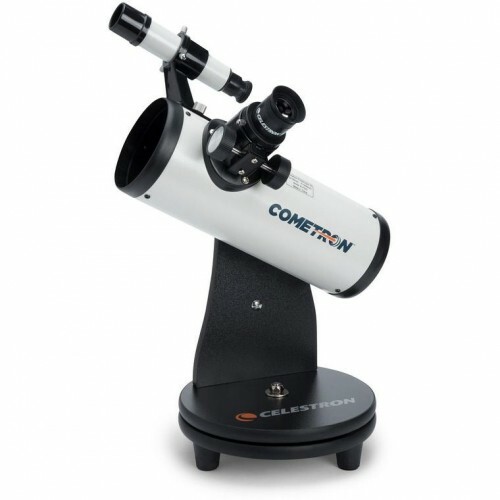 Be ready for the next big comet with Celestron’s special-edition Cometron FirstScope, a compact, a lightweight telescope that’s perfect for beginners looking to experience the magic of a dazzling comet, planet, or nebula. 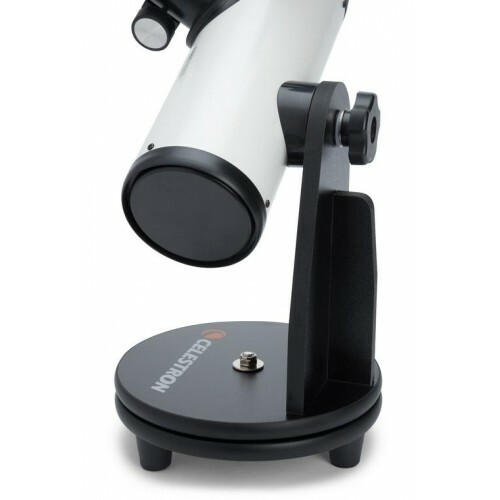 This tabletop Dobsonian-style telescope includes a spherical mirror with a generous 76 mm of the aperture. 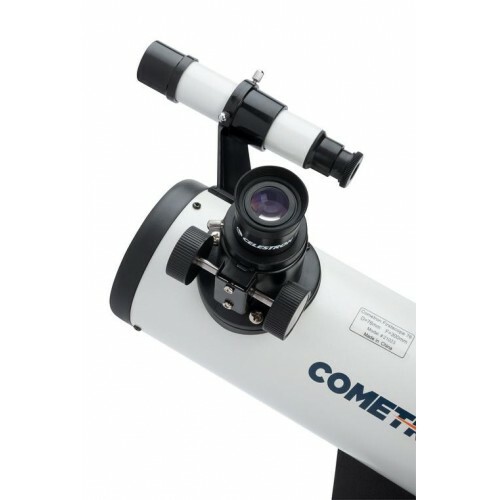 The Cometron FirstScope provides bright, sharp views of comets and other celestial objects, and renders the Moon’s mountains and craters in crisp detail. And thanks to its wide field of view, you’ll be able to observe the brightest part of the comet and its tail or favorite deep-sky objects like the Orion Nebula. 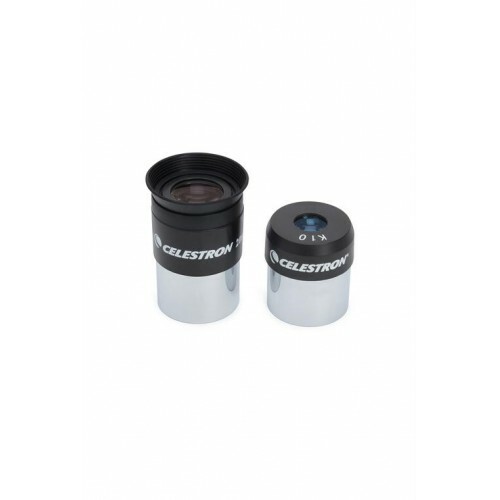 The Cometron FirstScope offers several upgrades from the original Celestron FirstScope, including 2 Kellner eyepieces and a 5x24 finderscope. 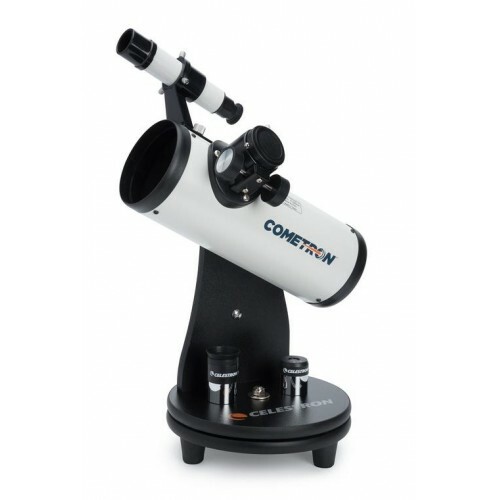 Weighing just 1.95 kg, the Cometron FirstScope is a tabletop telescope that you can take on all your outdoor adventures. It’s also stylish enough to be a decorative fixture on your bookshelf or desk. Includes a finderscope and 2 Kellner eyepieces.